Posters, lyric sheets, merchandise order forms, glimpses of other mouth-watering titles from the same record company… lots of different bits of paper have been inserted into LPs over the years. They are not our concern today. Here, in ascending order of magnificent silliness, are Vinyl Connection’s six favourite ALBUMS WITH EXTRAS. 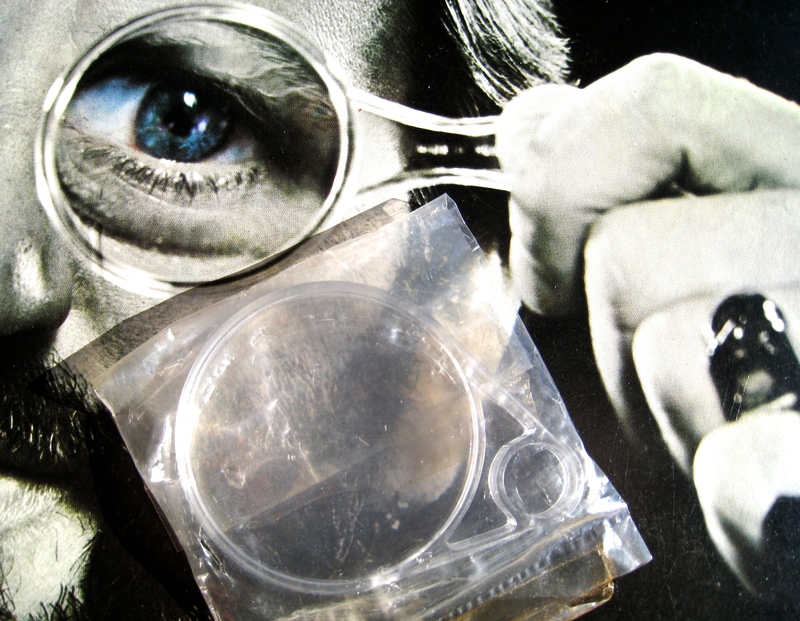 EXTRA: A magnifying glass, just like the one Ringo is holding on the cover. Brilliant! Now I can wear a pretend Ringo monocle and practice walking in uneven ever-decreasing circles. 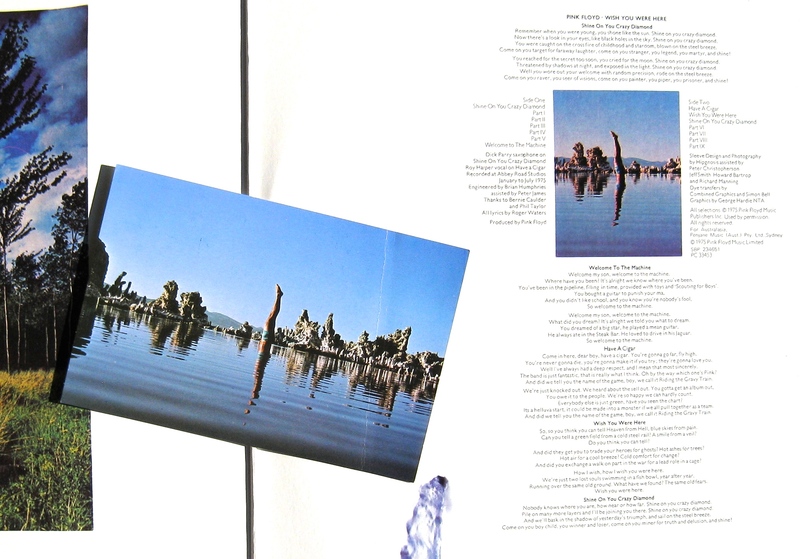 Actually, it might be handy for reading the small type on album covers. 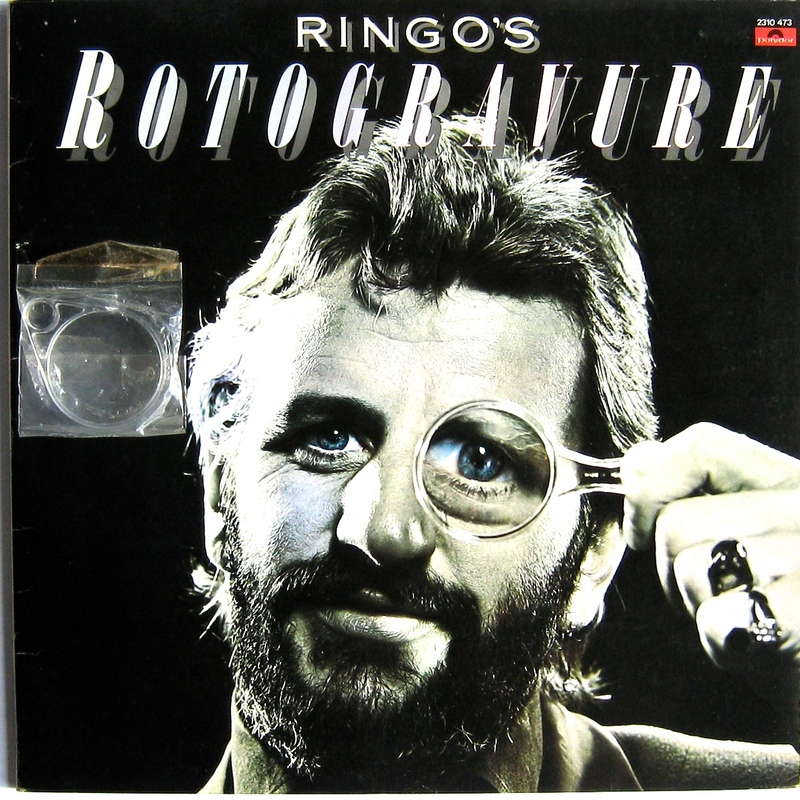 Or, if you use it to look at Ringo’s already magnified left eye, counting the blood vessels. MUSIC: Although Ringo was a great drummer for The Beatles, let’s be honest: his voice is a limited instrument. As a result of this and his generally uninspiring choice of songs, most of his solo work is forgettable (although 1973’s Ringo is good fun). 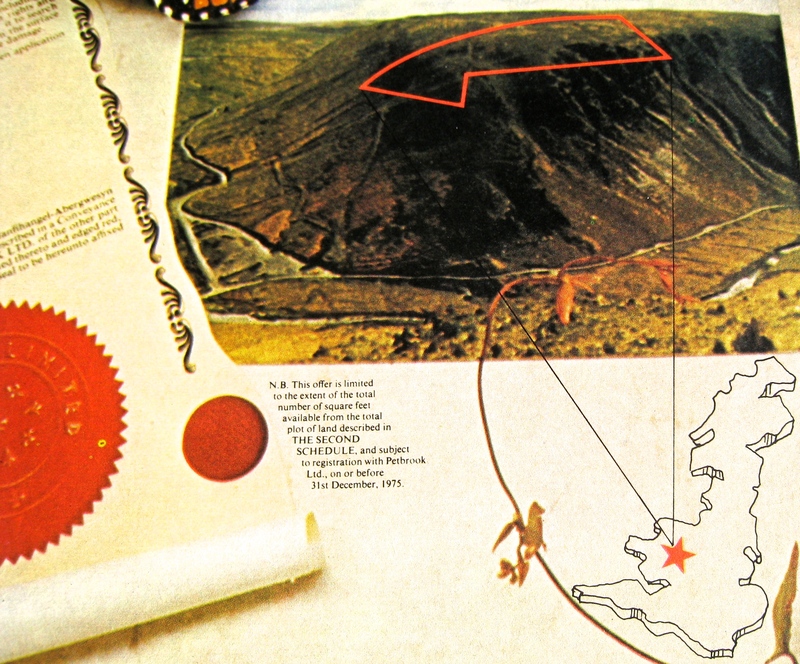 Rotogravure was released in 1975. The title means a printing system that uses a rotary press. Well, that makes sense. One thing you have to say about the man is that he was a determined bridge-builder with his estranged former band mates. Paul contributes the (unremarkable) “Pure Gold” and sings backing with Linda. 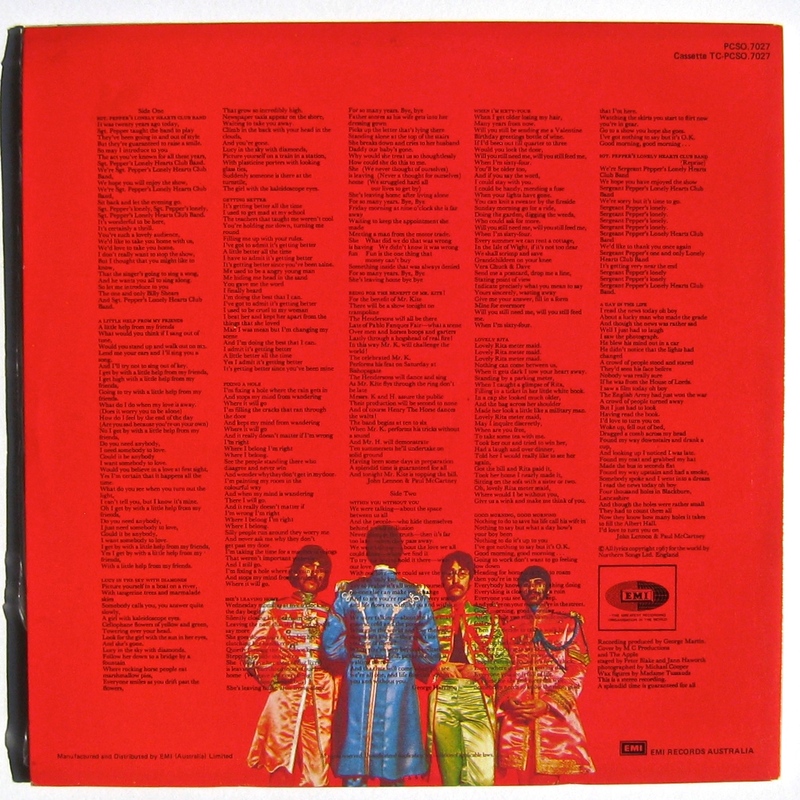 John offers “Cookin (in the kitchen of love)” a jaunty little number with Lennon on piano while George pitches in with the earnest “I’ll still love you” and though he is not credited, someone named Lon Van Eaton plays fluid guitar. If that’s not enough, pal Eric Clapton also contributes a song (“This be called a song”) and plays his instrument with customary class. The other musicians are stellar side-men: Mac Rebennack (Dr John), Klaus Voorman on bass, Jim Keltner helping on drums. But it doesn’t add up to much, musically. You’d need a much bigger magnifying glass to find a hit. 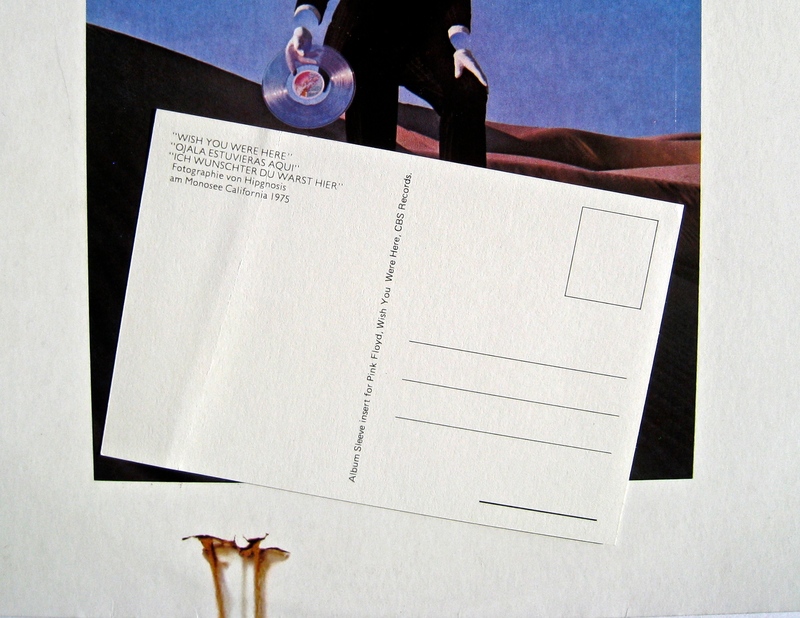 EXTRA: The Wish You Were Here postcard. This ranks highly because of the tie-in with the album’s theme of absence. Non-presence permeates the spaces between the notes and words and is (not) there on the cover. Look at the invisible man. So the enigmatic postcard really does add to the message about not being there. If your copy doesn’t have it, you are missing something. 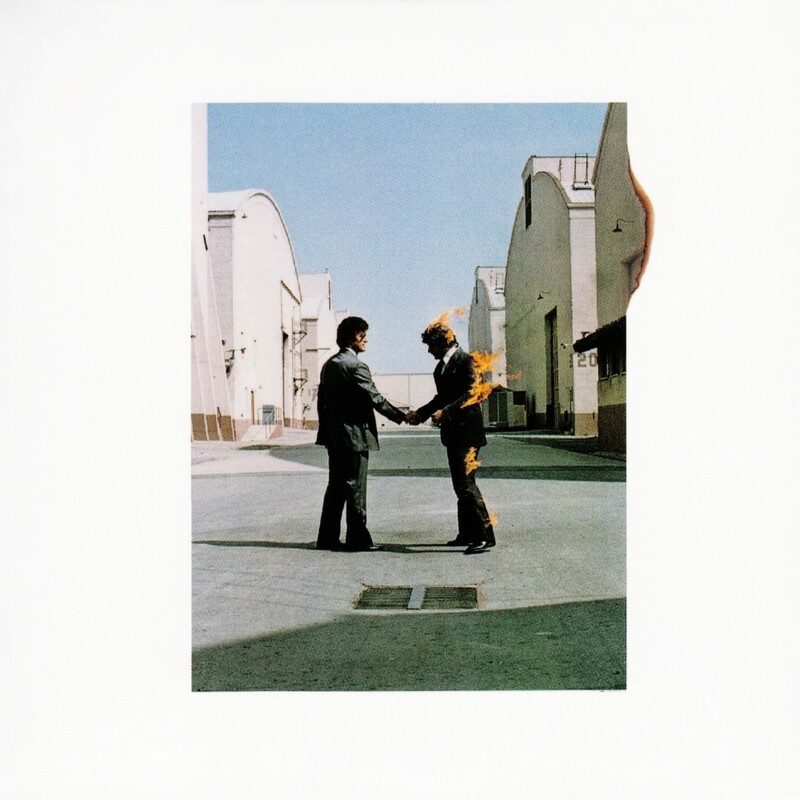 MUSIC: Probably the Floyd’s most consistent and fully realised work. I remember standing in the drizzly dark at Hannover Football stadium, surrounded by long-hairs and wreathed in dope smoke, yet feeling my heart soar as “Shine on…” insinuated its way across the mighty, gently steaming throng. Even though it took 80 minutes to get out of the car park and a further three hours to drive home, it was a memorable concert. 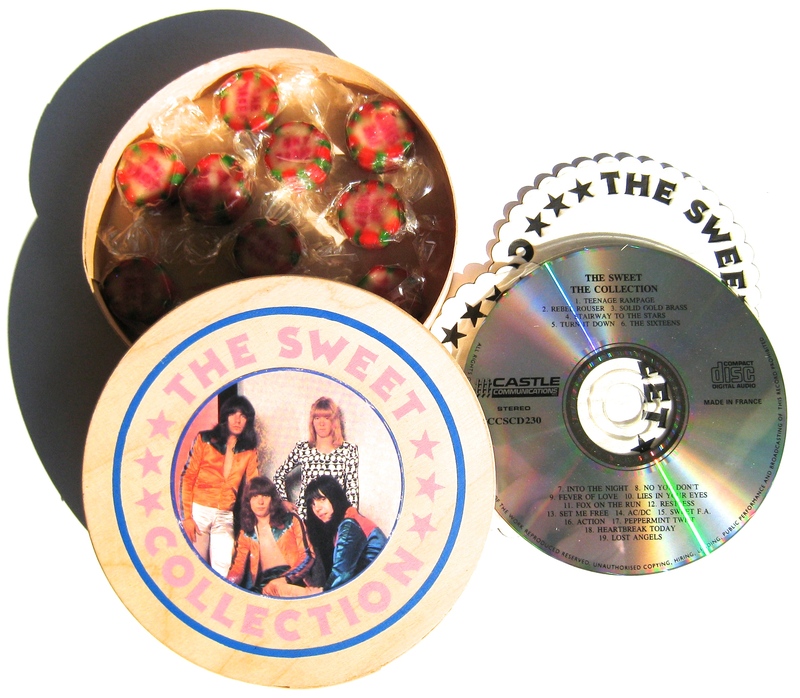 EXTRA: Inside the bamboo sweet box are two paper doilies on which the CD sits. Cute, but that’s not what earned this rogue non-vinyl inclusion its place here. It’s the lollies. 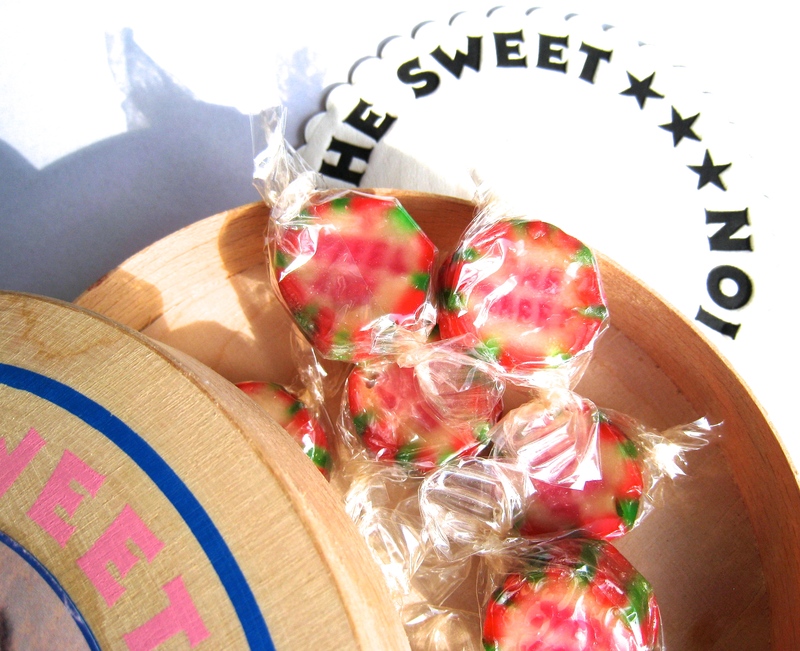 Hard candy, cellophane wrapped treats that have THE SWEET running through them like rock candy. It is a truly magnificent lolly folly. I’d report on their consumption except I haven’t eaten any and now they’re a decade or two past their use-by date and the dye is running. MUSIC: “Ballroom Blitz” exploded onto the Aussie Top 40 charts in glam-tastic 1974. It rocketed to #1 and was the first of several hits for the make-up wearing satin-trousered British stompers. I hated it. So I suppose it’s good that it is omitted from this “best of” collection. You’ll have to settle for “Fox on the run”, “Teenage Rampage”, “Peppermint Twist” and no less than 16 other songs largely indistinguishable from each other. I remember when I bought this but I cannot for the life of me explain why. Other than the lollies, of course. EXTRA: The cut-out bits that no-one ever cut out… or did they? The sheet of coloured cardboard accessories was one of several ground-breaking ideas on this 1967 classic. (Another was the inclusion of lyrics on the cover). Of course it’s silly, but silly and innovative is a great combo. The “extras” add to the fame of an iconic album. 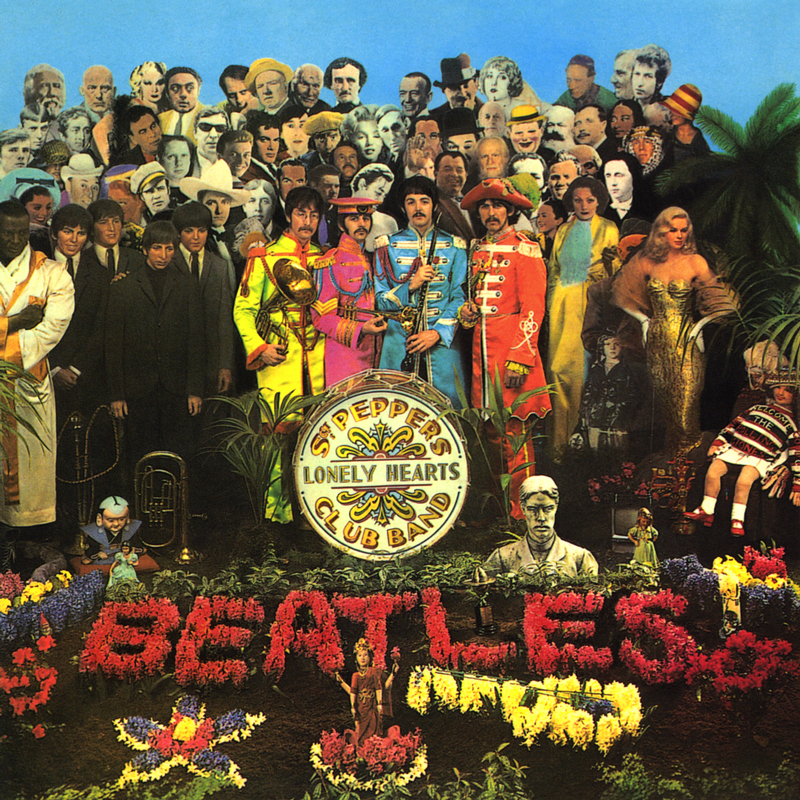 MUSIC: As it is almost impossible to find anything new to say about Sgt Pepper, I’ll not say anything at all, other than it being almost as good as its predecessor. 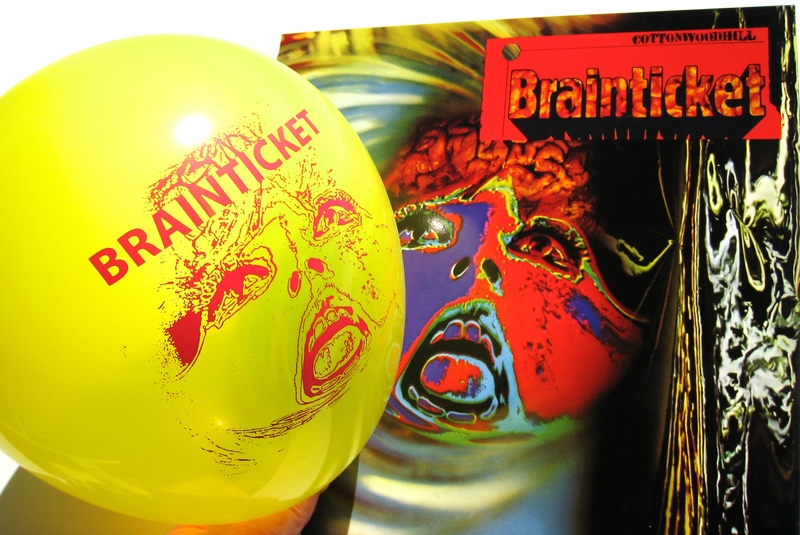 EXTRA: Adding what every vinyl record really needs, the re-issue of Brainstorm’s debut album comes with a party balloon. But not just any balloon. 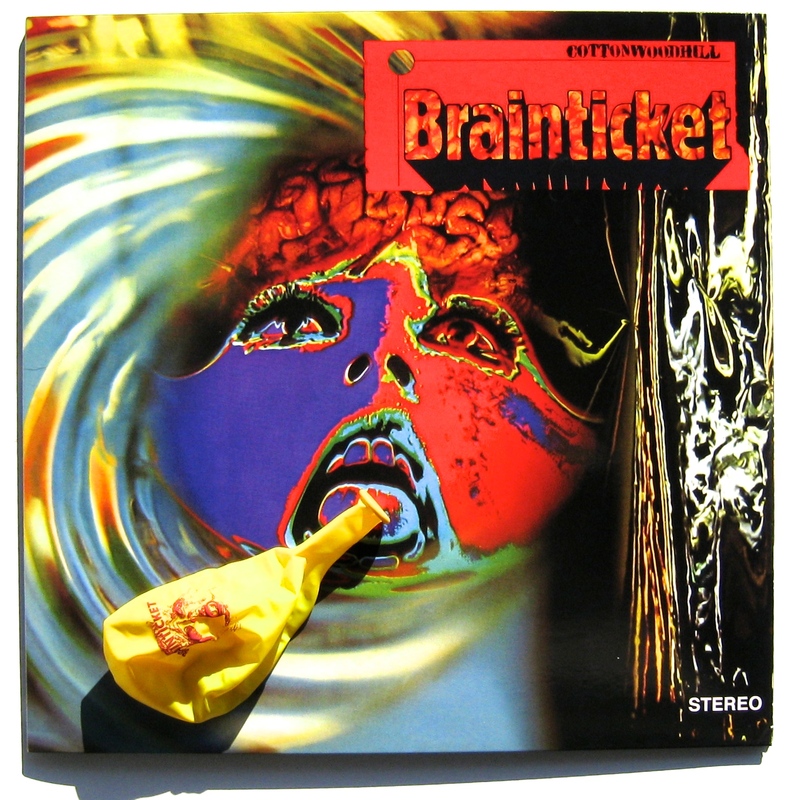 This one is emblazoned with the cover image: a female face in distorted thermo-delic colours, her pulsing brain exposed to the universe, mouth open in a silent scream. Guaranteed to freak the bejeezus out of the kiddies at your child’s next party. Take a trip to your inner light. You’ve got your brainticket now! 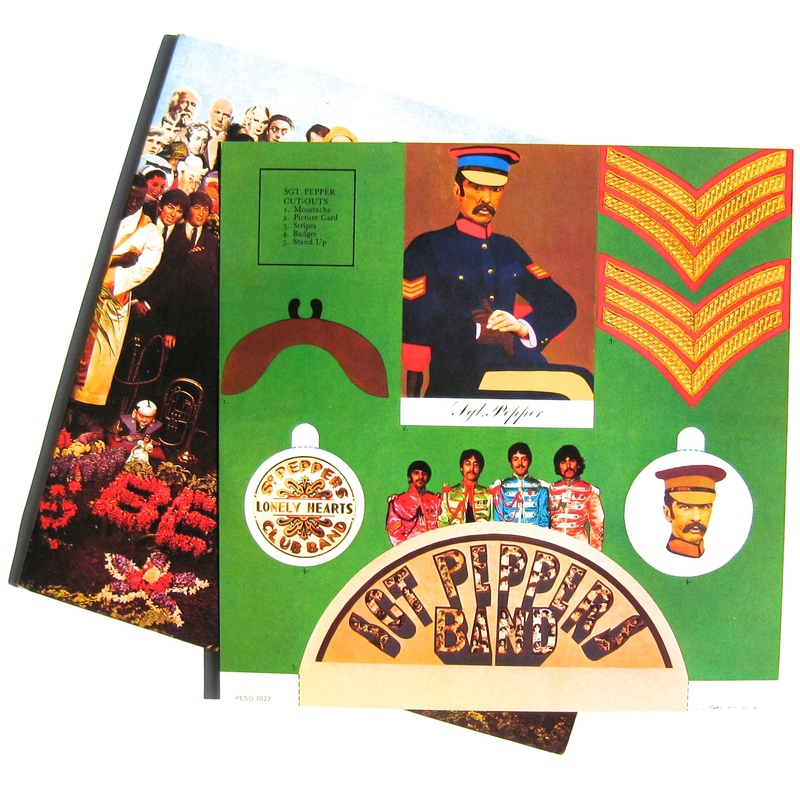 Making sure you are fully apprised of the properties of this über-psychedelic LP, the inner gatefold contains ADVICE. 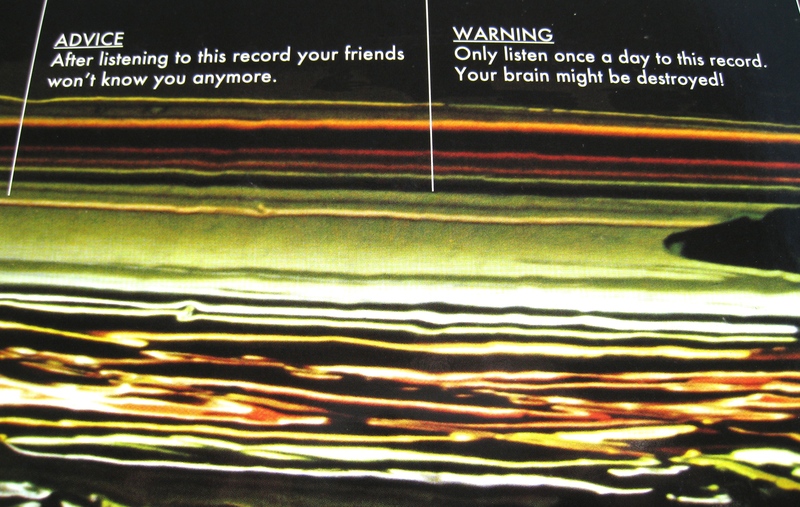 It says, “After listening to this record your friends won’t know you anymore”. I suppose it’s up to the individual to decide whether this constitutes an inducement or a warning, but perhaps Brainticket can clarify, as a caution also appears. WARNING: Only listen once a day to this record. Your brain might be destroyed! And what’s it actually like? Seriously trippy in an organ-based, effects laden, space junky way. Potentiometers, generators and sound effects provided by the well-named Hellmuth Kolbe. Lots of sound effects too: an ambulance (was the trip too much?) through to pneumatic drills. Joel Vandroogenbroek is the driving force on organ while female vocals of the whispering, wailing, freak-out, will-someone-please-talk-me-down kind are delivered in suitably fraught style by the less exotically monikered Dawn Muir. In sum, Cottonwoodhill does deliver what it says on the box and your response will depend on whether you are in the mood for this ragged, brain-melting trip. You might rather seek your high via a program of hyperventilation achieved by blowing up the balloon. Just don’t show it to the kids. So why is this LP here, and in the pole position what’s more? Because what it did include was a fair-dinkum, bone fide offer of a plot of land. True! Buy an LP and become landed gentry! 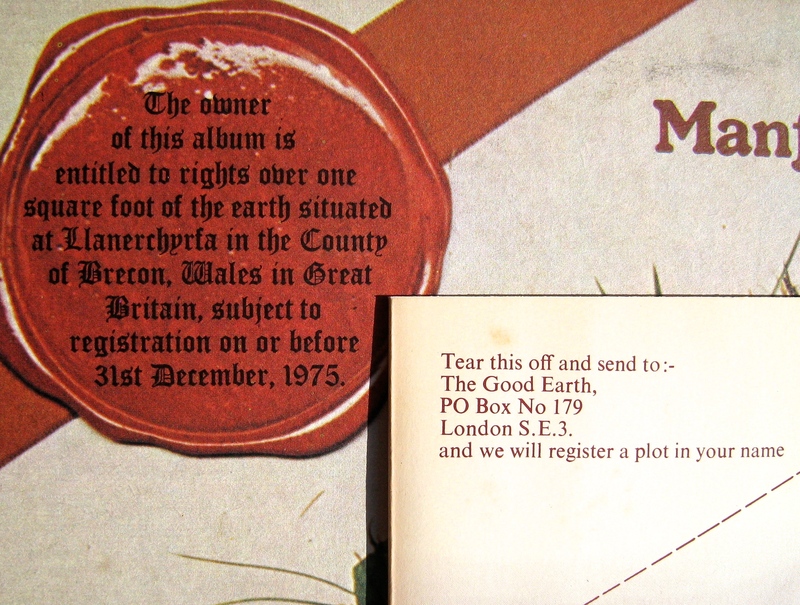 Album owners could cut and post a coupon from the inner sleeve that entitled the applicant to one square foot of turf on a hill at Llanerchyrfa in the County of Brecon, Wales. 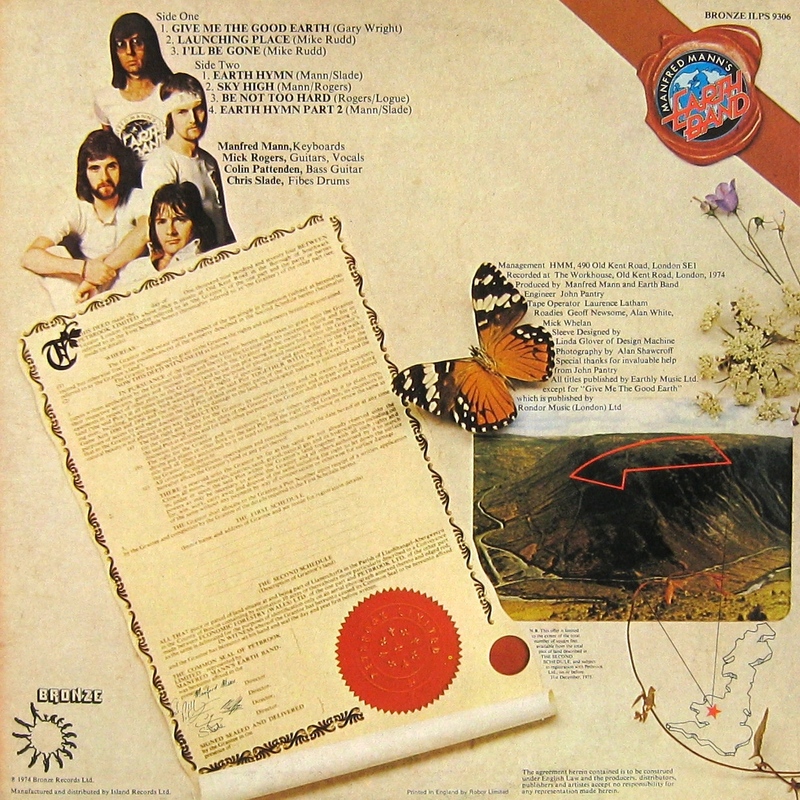 You can see a photo of the site on the back cover of the album, along with a description by TM Proctor of Economic Forestry (Wales) Ltd. A veritable heaven in the Welsh hills, it was “a vast sea of purple moor grass” supporting abundant bird life. You could even fish for herons in the river. Or something like that. In fact the only problem would appear to be the challenge of building suitable accommodation for you and your loved ones on 144 square inches of land. Now I hate to be the bearer of bad news but before you head off to Discogs or eBay to invest in your Welsh property, be advised: the offer expired on 31 December 1975. Still, what an utterly brilliant concept. MUSIC: In the early to mid-70s Manfred Mann’s Earth Band created an engaging brand of British progressive rock in which the leader’s keyboard featured but never swamped. The Good Earth is their fifth album and, in keeping with the title, there is an earthy, environmental texture through the seven songs. Opener “Give me the good earth” sets the tone with its lyric about the healing properties of nature and well constructed instrumental sections. Two songs are by Aussie legend Mike Rudd (Spectrum, Ariel) and both polish up very nicely indeed. “Earth hymn” features some tempo changes and a tasty slab of Mr Mann’s synthesisers (squelchy synths always warm Vinyl Connection’s analogue heart). “Sky high” is rocking progging instrumental of energy and variety. 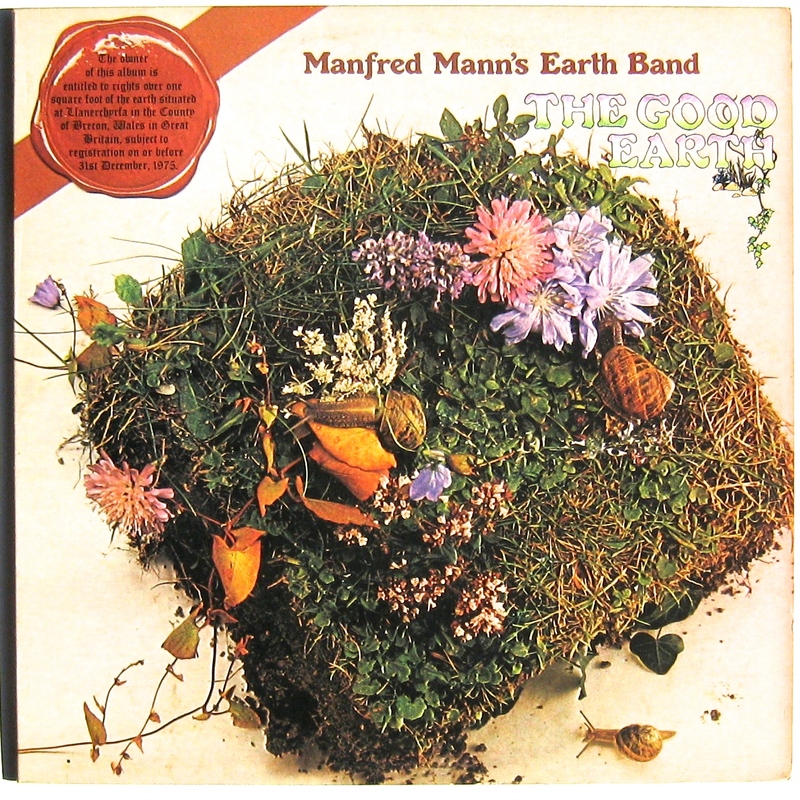 If “Blinded by the light” (a Springsteen’s cover and massive 1976 hit) is the only song you know by MM’s E B and you have a liking for accessible 70s progressive rock, The Good Earth would make a worthwhile addition to your shelves, even without the property deal. THANKS: To STN for the loans of Ringo and Manfred. Ah, that might explain why I loathed, it, never having got to the ‘standing up’ stage on skates, let alone ‘speed’! Thanks. Would you believe, this afternoon I picked up my own (UK) copy of “The Good Earth” at Quality! Must be good karma, surely. Fun post. 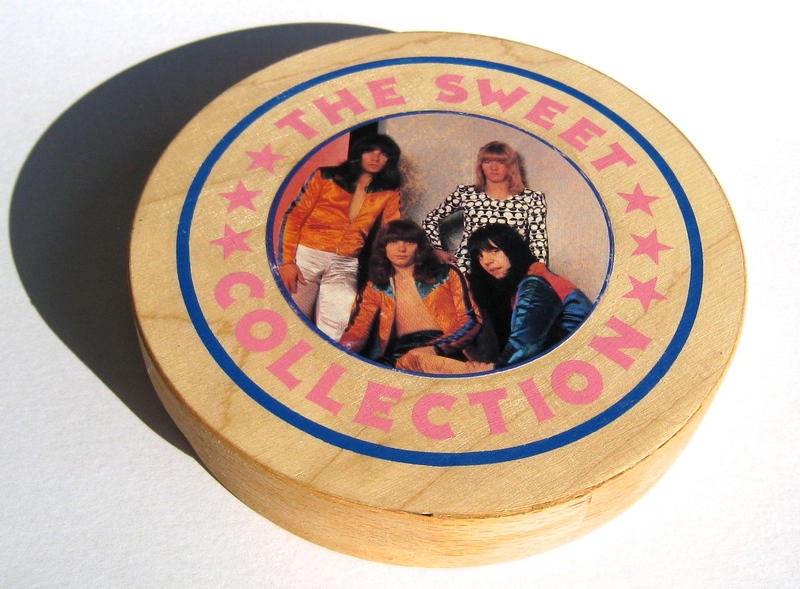 You should get more stuff from Sweet, the albums have a lot more variety and are pretty rocking. Of the singles I do like “Fox on the Run” a lot. Is “The Six Teens” on this one? That’s a great tune as well. Something a bit frivolous. Glad you enjoyed it. Yes, the comp does have “The Sixteens”. I’ll have a listen today. And your point about the albums is certainly valid. There are many albums where there is more substance to the LP than suggested by the single. Excellent point about Sgt. Pepper – what else could possibly be said? I’ve had that with a couple albums already where I’ll say something like, “it’s great, but you knew that already” and then head off on another tangent in an attempt to say something at least slightly new! It is indeed a problem with re-visiting well–known albums generally. I’m sure you are very aware of that! There is a risk that both writer and reader will get stuck with either (as you observed) the “Isn’t it great” response or the unedifying “Don’t see what the fuss is about” response. Certainly some albums would require major excavation equipment to unearth anything original (which is why I generally avoid them entirely). Your mention of Mike Rudd sent a rabbit down a hole in my mind, which brought back MacKenzie Theory and many strange but far from unpleasant memories of T F Much Ballroom. I am listening to “Supreme Love” whilst I write. It is hard to predict what gift your writing will give. Ah, the non-linear memory retrieval system. Glad to hear it is producing unexpected and pleasant memories. I absolutely intend to write about Spectrum / Ariel. But which? At present I’m favouring “Strange Fantastic Dream”. I can’t recall much of “Strange Fantastic Dream” and Youtube seemed to offer little but a post covering Mike Rudd, his music and bands could be good. Sweet! (umm, literally). I don’t have the postcard in WYWH. The best one I had was in Godspeed You! Black Emporer ‘F#A#Infinity’ they included a penny that had been crushed flat by a train, amongst tons of other paper stuff. The one I want most of all though is a copy of ‘School’s Out’ with the paper knickers in. It’d be justifiable homicide – no court in the land would have convicted you. I have a rather beaten up copy of the fold-up desk cover, but without the extra, er, contents. Although very collectible, it’s a pretty dodgy social/moral message in the 21st C, don’t you think? Love this post, and kudos for mentioning “The Good Earth Give-Away”, not just a most original promo idea, but a very much under-rated Earth Band album. I would add to this list Zappa’s first FREAK OUT- if you mailed away to the address inside the fold-out, you received a special map of LA’s freak hangouts “Whiskey-A-Go-Go, The Brave New World Coffehaus, etc.PLUS it showed where the police were most actively harassing and busting hippies that summer. In 1966, one of the earliest promos of this kind. I also own the Italian import of PFM’s Chocolate Kings which has the UGLIEST pin-up girl poster imaginable. “The Good Earth” is a very good mid-70s prog album, isn’t it. I had this fantasy that someone reading the post might have actually sent in the coupon and claimed their plot in Wales! I bought a vinyl re-issue of “Freak Out” not long ago, and was delighted to find that the map you speak of was included. Brilliant! If there was a “Part 2” in this post idea, “Freak Out” and “The Who Live at Leeds” would be strong contenders for sure. Love PFM, though “Chocolate Kings” finds them well past their prime. Great 4 panel cover (front back, two inside) showing a chocolate bar in various stages of consumptions. But never seen the insert. Fascinating! I was only three years too late to claim my plot 😦 Had such plans for a 10″x12″ summer home……. I keep thinking about our Welsh buddy, 1537, and the perfect country retreat for his Lego figures! Great post, Bruce. I’ve owned a few of these albums and those extras made them really special. My favorite of all LP bonuses was the “gun” included with Kiss’ “Love Gun.” It was made of card stock & paper so it didn’t last long, but for as long as it worked I had a blast popping that gun. By the way, your placement of the Barinticket balloon in that first image was well-chosen.